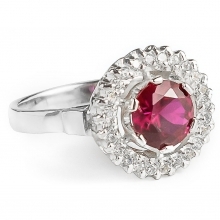 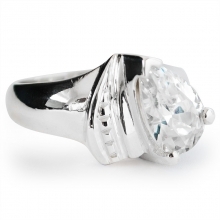 This isn’t your average ring - this is a classic! 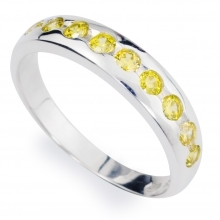 The design on first glance appears plain and easy to the eyes but the whole ring presents a riveting image and aura. 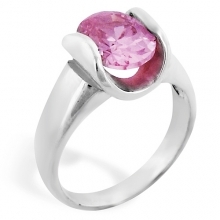 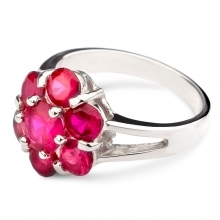 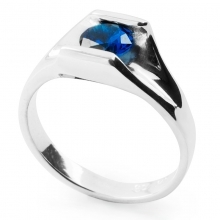 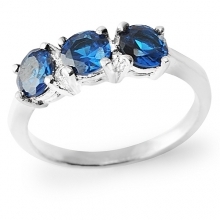 Well matched with a set of wicked clothes, this ring can wreak havoc on your overall image, and that too in a great way. 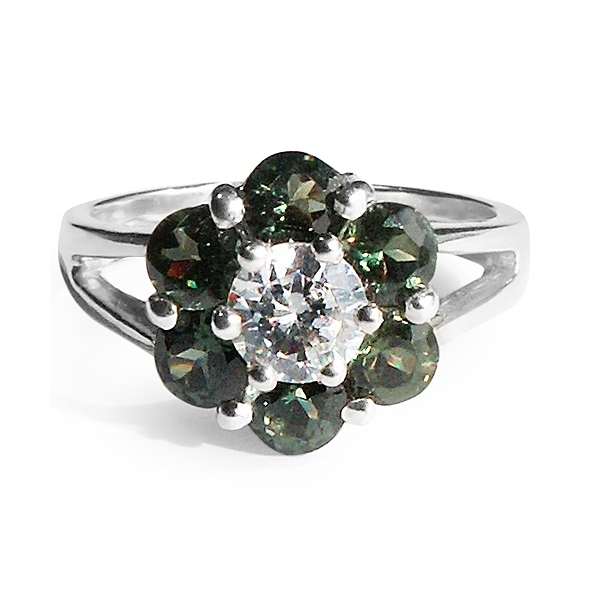 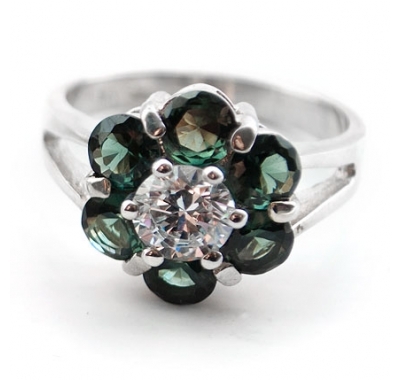 The classic design is a simple flower, which is constructed using a combination of six wonderful Tourmalines and one big glittering Cubic Zirconia. 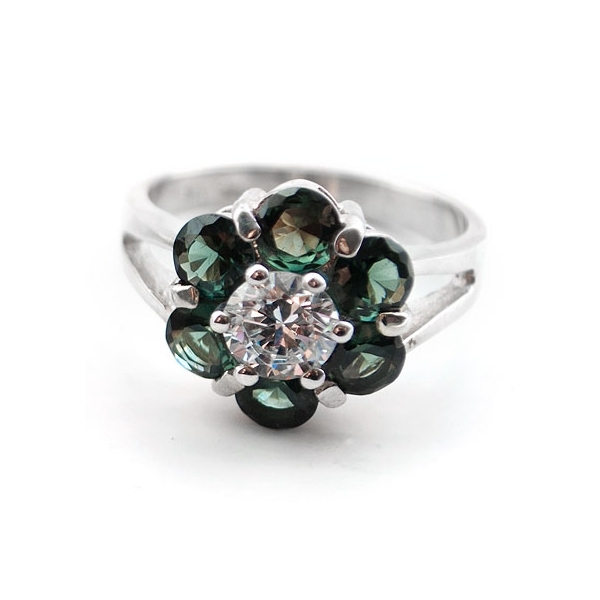 The Zirconia lies in the centre surrounded by the tourmalines to complete a flower pattern on a ring made of pure sterling silver. 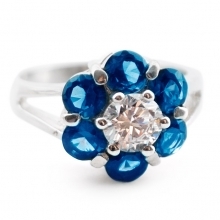 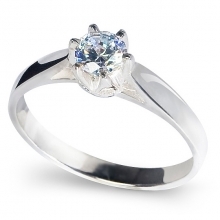 The end result is a traditional ring that symbolizes elegance and splendour. 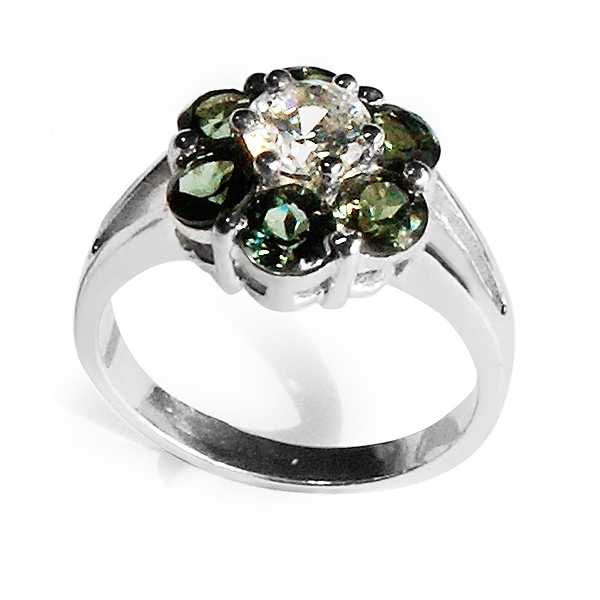 The centre stone is 6mm diameter, set in 6-claw setting and surrounded by a cluster of six green tourmalines, each stone measures around 4 mm diameter. 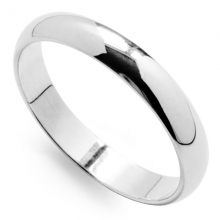 The band measures approximately 3mm thick at thickest point. 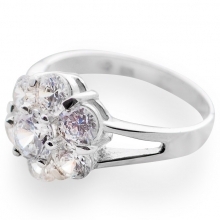 Finely crafted and hand-finished.